2010 marked the 20 th anniversary of this special movie. Because this film still has a following to this day, I wanted to create something special to commemorate that milestone. The Producer of this movie, Robert A. Nowotny, along with the actors and other crew members, provided behind the scenes photos, anecdotes and other stories of their experiences while making this film so this tribute could be created and shared with everyone who enjoys this story. The result was a 102 page photo-journal retrospective that includes a synopsis of the movie, trivia bits, production notes and movie facts, along with a handful of outtakes, and many personal photos and stories from the cast and crew, as well as a heartfelt tribute to the late Mark Lenard who played Eberhard Hoffman. The entire tribute is available to see online below.Please allow ample time for the file to load. 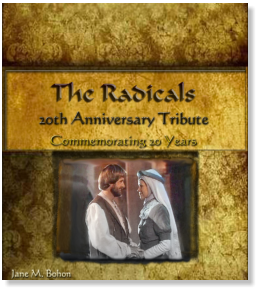 A commemorative scrapbook style tribute honoring the 20 th anniversary of the movie, The Radicals. Please enjoy these selections from the tribute. Remember, this is only a small cross-section of the things you will see online. 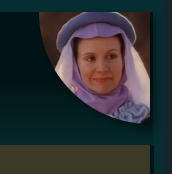 All of the images associated with the tribute are thumbnails and can be enlarged by clicking on them. The entire tribute can be viewed as a Flipbook by clicking the window below. 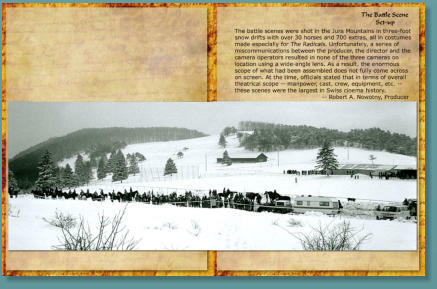 The tribute book will then open -- the pages turn just by clicking on them. Please allow ample time for his file to load as this is a graphic intensive book, and it is a large file. The main characters and the actors who portrayed them. What an attractive group of people! Cinematographer Michael Bucher did a fabulous job with the lighting in this movie, especially the interior scenes. They are masterful. Christopher Neame portrayed Ulrich Zwingli in this movie. Isn’t this a great profile shot of him? A lot goes on behind the scenes to make a movie happen, as you will see in many of the Production pages. All of the costumes were provided at no cost or sewn by hand by volunteer women from the region because they felt so deeply about the values this movie brought forth. Dan Perrett provided these great shots of cast and crew out and about in various locations where this movie was filmed. Leigh Lombardi sent along some photos and shared some special memories she had while making the film -- even though the temperatures were often quite cold. Dan Perrett and Leigh Lombardi contributed these photos of the baptism scene -- not a particularly glamorous shot, and a very cold one. Norbert Weisser had a wonderful story about an experience at a museum at Colmar, France. Producer Robert A. Nowotny describes setting up for the battle scene, which had to be shot in one day -- using over 700 volunteers and several dozen donated horses. What an undertaking that was! The torture scene was shot in a very unpleasant place, as you will see in Robert Nowotny’s description of it here. The Radicals is also presented as a feature on the Norbert Weisser website. It is with great sadness that I inform everyone of the passing of Michael, who lost his battle with cancer in 2012.